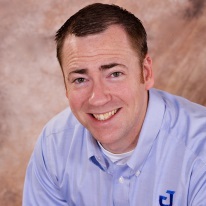 Justin Dickinson founded JUSTEK in 2004 when he realized that the technology needs of small and medium sized business owners were outpacing their ability to maintain them cost-effectively. Business owners felt trapped between their dependence on computer technology and their inability to maintain it in-house. A full-time IT support person was out of the question for many companies. At the other extreme, a strategy of “if it breaks, fix it” was recognized as unworkable. Downtime is too costly, customer records are too valuable, and the security of email too important. A new kind of computer support service was needed. JUSTEK fills your need for a trusted business technology partner. We’ll demonstrate that we have your best interests in mind as we guide you through the decision process. Our goal is to understand your business, predict its technology needs, and recommend the most effective and affordable solutions. It’s the people who make the difference. Because we are dedicated to understanding how your business uses technology, the stage is set for genuine improvement. We’ve found that it takes a special type of IT person to achieve this. JUSTEK technicians are trained to be communicators first and foremost. We build solutions that work. We keep things uncomplicated, focusing on your goals and delivering solutions that work. Over time, we’ll scale with your company as your technology needs grow and change. Contact JUSTEK and we’ll help you get started!